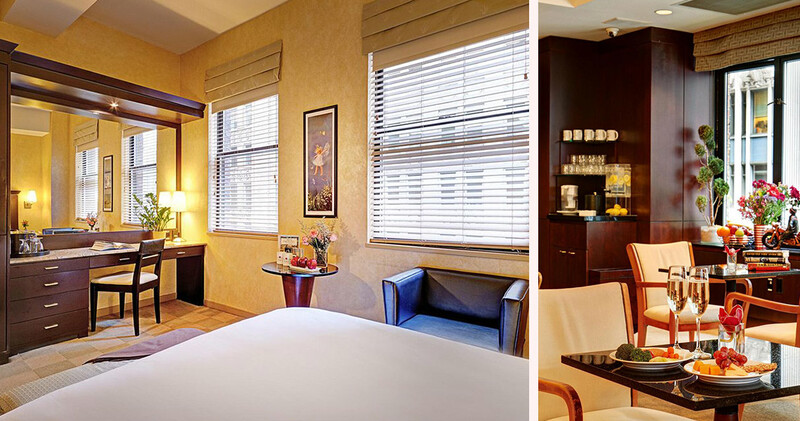 Adorned with a beautiful collection of books and art, the Library Hotel offers contemporary guestrooms inspired by the Dewey Decimal System. 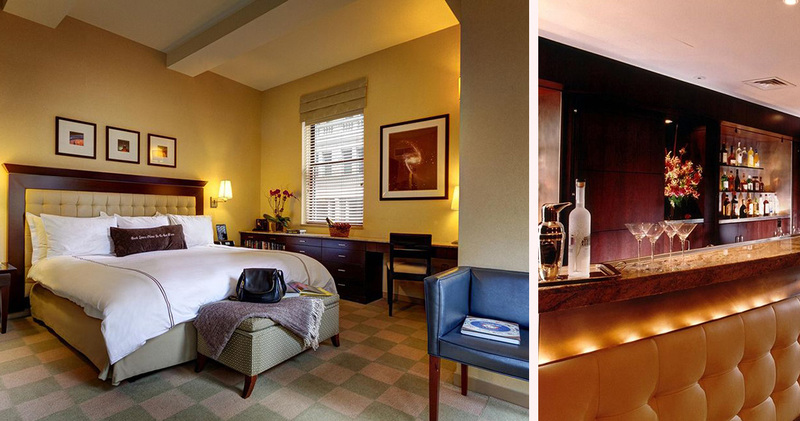 Just steps away from the landmarks of Times Square and the Empire State Building, the Library Hotel is set amidst the bustle of Midtown Manhattan. 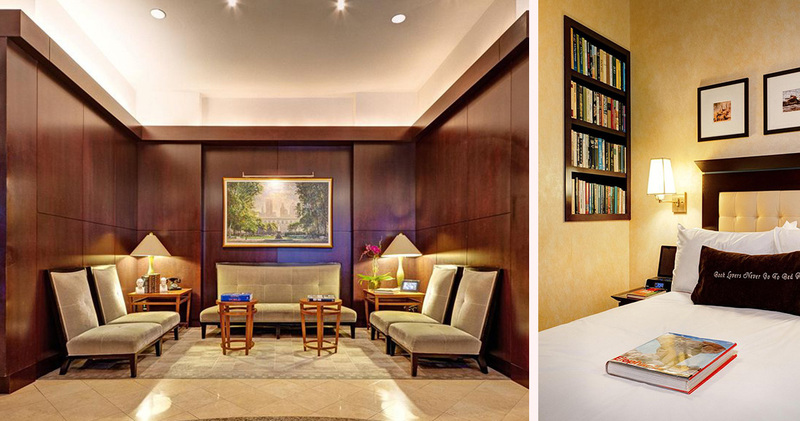 Smooth wooden paneling, relaxing seating areas and remarkable, floor-to-ceiling book displays cast an air of gentle elegance in this hotel. Inspired by the Dewey Decimal System, each room offers a selection of books on a particular subject. 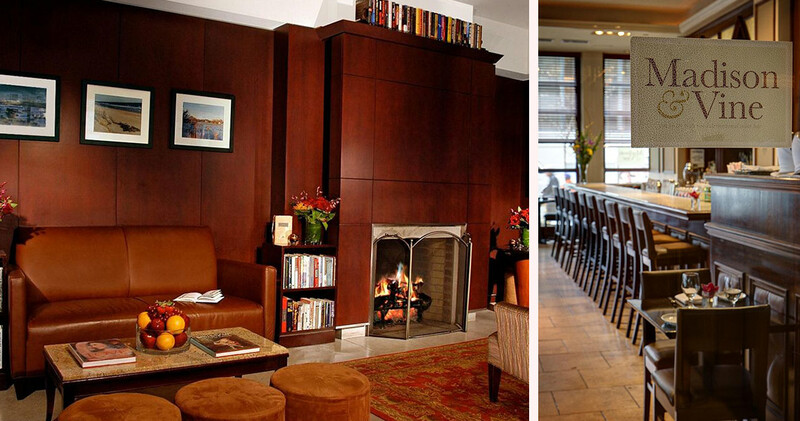 Library Hotel NYC’s Reading Room is the perfect spot for guests to unwind with a book while enjoying beautiful views of the city. The evening reception service offers guests complimentary Prosecco, fine wines and cheeses. Guests also have access to DVDs of the top 100 films of the American Film Institute. The Library Hotel has 60 beautifully appointed rooms, each featuring contemporary design and a collection of books for guests to read. The wooden furnishings, luxurious fabrics and ample natural light give the rooms a bright and airy feel while the spacious bathrooms feature Gilchrist and Soames luxury bath products. 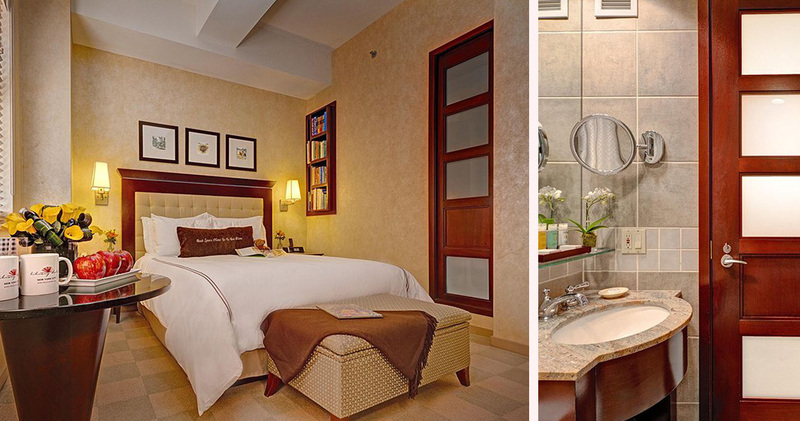 Rooms also feature an art display that corresponds to the chosen category of the room. 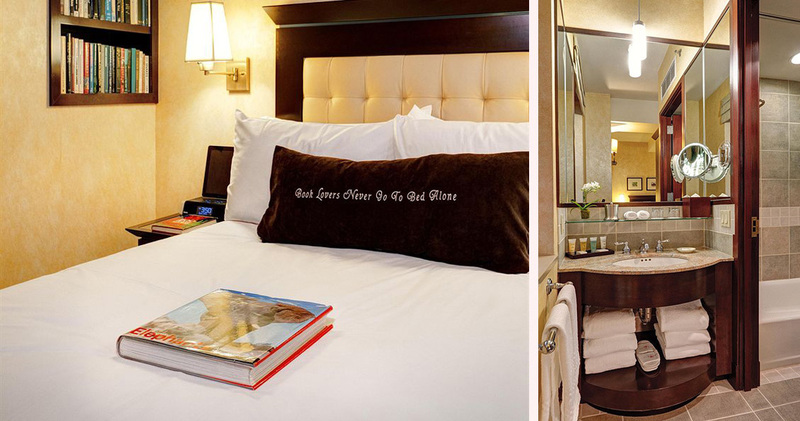 The Library Hotel NYC also offers special amenities including champagne, snack baskets and seasonal flowers on request. 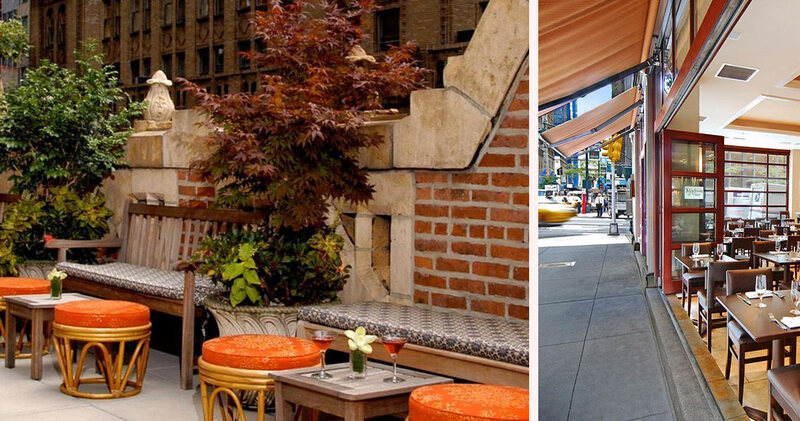 Madison & Vine is a sophisticated yet casual American Bistro inside the Library Hotel. 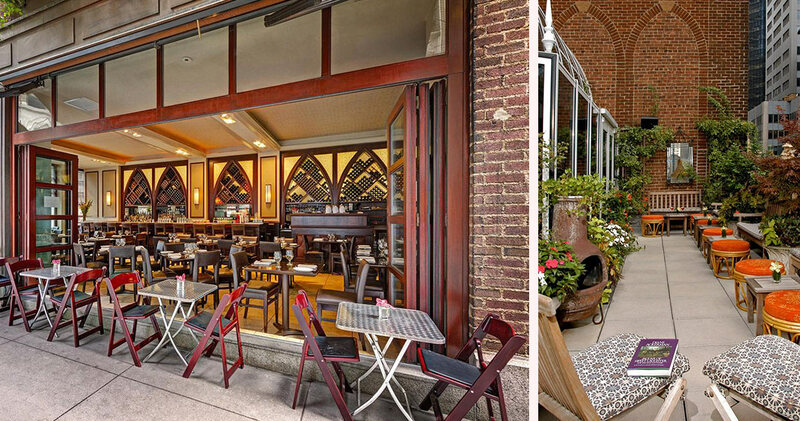 The restaurant has an extensive selection of international wines along with a classic Bistro menu. 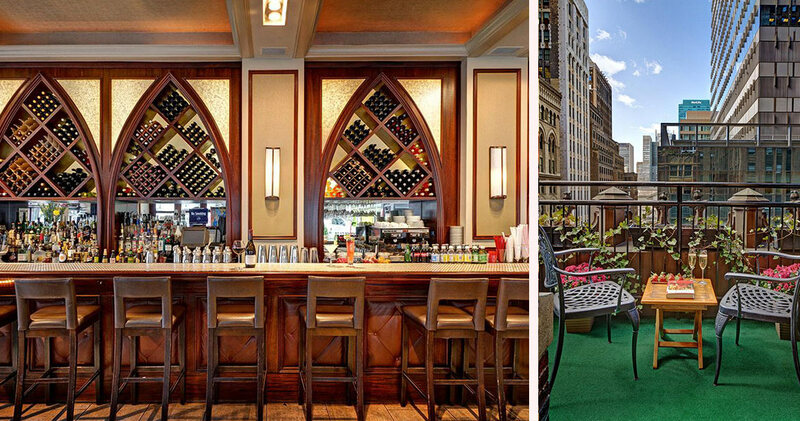 For striking city views, head to the hotel’s rooftop bar, Bookmarks Lounge. The bar serves literary inspired specialty cocktails such as The Hemmingway and The Pulitzer.